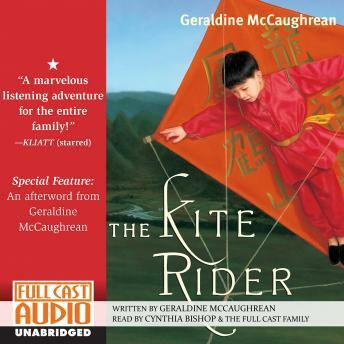 A soaring story that will sweep listeners from the docks of China to the court of Kublai Khan as young Haoyou learns to ride the winds strapped to a great scarlet kite in the traveling circus of the Great Miao. But other winds swirl about Haoyou, winds of revenge and deceit and greed. And no matter how high he flies, there is always greedy Uncle Bo, holding him like an anchor, waiting to drag him down. A breathtaking historical novel from two time Whitbread Prize winner Geraldine McCaughrean.